Following my comments 3 posts ago, my reading on the train over the last week has been The Heretics: Adventures with the Enemies of Science, by Will Storr. Despite booming bishops and other distractions, I found it intensely readable, and I think it pretty much fulfilled my expectations. The subtitle about ‘the Enemies of Science’ is perhaps a little misleading: this is not primarily an exercise in bashing such people – you’ll find plenty of other books that do that, and any number of internet forums (and of course I had a go at it myself, in the post I mentioned). It’s an attempt to understand them, and to investigate why they believe what they do. Storr does not treat the enemies of science as being necessarily his personal enemies, and it emerges at the same time that the friends of science are not always particularly – well, friendly. It’s a subtle approach, and a difficult path to tread, which invites misunderstanding. And one critic who I believe misunderstands is Mark Henderson in the Guardian who, while admiring aspects of Storr’s work, finds the book ‘disappointing and infuriating…. He is like the child who still wants to believe in Father Christmas, but who is just old enough to know better. Life would be more magical, more fun, if the story were true.’ Well here I think Henderson is unwittingly stating the central thesis of Storr’s book: that as humans we are above all myth makers – we have a need to see ourselves as a hero of our own preferred narrative. This idea appeals to me in particular because it chimes in with ideas that I have come across in an evening course I am currently following in the philosophy of emotion. Writers on emotion quite naturally classify emotion into positive (happiness, love, hope, excitement) and negative (sadness, hatred, anger, fear, etc). The naive assumption is that we welcome the former and avoid the latter if we can. But of course the reality is far more nuanced, and more interesting than that. In the first place is the need of many to pursue dangerous and frightening pursuits, and then of course the undoubted delights of sado-masochism. But much closer to home is the fact that we flock to horror films and emotionally harrowing dramas – we love to be vicariously frightened or distressed. Narrative is our stock in trade, and (as the increasingly popular creative writing courses preach) unless there’s plenty of conflict and resolution, nobody will be interested. We all have our own unspoken narratives about our own place in the world, and in most cases these probably cast us in a more heroic light than the accounts others might give of us. They help to maintain our emotional equilibrium, and in cases where they are nullified by external circumstances, depression, despair and even suicide may result. And of course with the internet, bloggers like me can start to inflict our own narratives on a bigger potential audience than ever (I wish). And earlier theories of the world are of course entirely myth and narrative laden, from ancient Greek culture to the Bible and the Koran. Our cultural heritage fits around our instinctive nature. (As I tap this passage into my phone on the train, the man immediately next to me is engrossed in a Bible.) How difficult, then, for us to depart from our myths, and embrace a new, evidence based, and no longer human-centred, story of of creation. Storr encounters one of those for whom this difficulty is too great. John Mackay is a genial, avuncular Australian (there’s plenty of footage on You Tube) who has been proselytising worldwide on behalf of the creationist story for some years. In the gospel according to Mackay, everything that seems evil about nature stems from the fall of Adam and Eve in the Garden of Eden. Before this there were no thorns on plants, men lived happily with dinosaurs and nobody ever got eaten – all animals were vegetarians. A favourite of mine among his pronouncements is where Storr asks him why, if Tyrannosaurus Rex was a vegetarian, it had such big, sharp teeth. 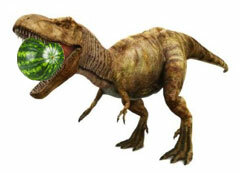 The answer (of course) is – water melons. On You Tube I have just watched Mackay demonstrating from fossil evidence that there are plants and animals which haven’t evolved at all. This is a fundamental misunderstanding of Darwin: if organisms aren’t required by external forces to adapt, they won’t. But of course on Mackay’s time scale (the Earth is of course six thousand years old) there wouldn’t have been enough time for fossils to form, let alone for anything to evolve very much. The confusion here is manifold. For his part, Storr admits to having started out knowing little about evolution theory or the descent of man, and to having taken the scientific account on trust, as indeed most of us do. But his later discussions with a mainstream scientist demonstrate to him how incomparably more elegant and cogent the accepted scientific narrative is. How objective can we be? Henderson charges Storr with not giving sufficient recognition to the importance of the scientific method, and how it has developed as a defence of objective knowledge against humanity’s partial and capricious tendencies. But Storr seems to me to be well aware of this, and alert to those investigators whose partiality throws doubt on their conclusions. ‘Confirmation bias’ is a phrase that runs through the book: people tend to notice evidence which supports a belief they are loyal to, and neglect anything that throws doubt on it. A great example comes from a passage in the book where he joins a tour of a former Nazi concentration camp with David Irving, the extreme right wing historian who has devoted his life to a curious crusade to minimise the significance of the Holocaust, and exculpate Hitler. Storr is good on the man’s bizarre and contradictory character, as well as the motley group of admirers touring with him. At one point Irving is seeking to deny the authenticity of a gas chamber they are viewing, and triumphantly points out a handle on the inside of the open door. He doesn’t bother to look at the other side of the door, and but Storr does afterwards, and discovers a very sturdy bolt. You are led to imagine the effect of a modus operandi like this on the countless years of painstaking research that Irving has pursued. But should we assume that the model of disinterested, peer-reviewed academic research we have developed has broken free of our myth-making tendencies? Those who are the most determined to support it are of course themselves human beings, with their own hero narratives. 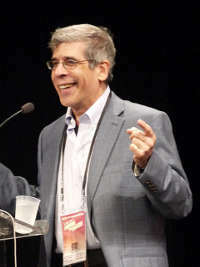 Storr attends a convention of ‘Skeptics’ (he uses the American spelling, as they themselves do) where beliefs in such things as creationism or belief in psychic phenomena are held up to ridicule. He brings out well the slightly obsessional, anorak-ish atmosphere of the event. It does, after all, seem a little perverse to devote very much time to debunking the beliefs of others, rather than developing one’s own. It’s as if the hero narrative ‘I don’t believe in mumbo-jumbo’ is being exploited for purposes of mutual and self-congratulation. The man who is effectively Skeptic-in-Chief, the American former magician James Randi, is later interviewed by Storr, and comes across as arrogant and overbearing, admitting to sometimes departing from truthfulness in pursuit of his aims. If scientists, being human, are not free of personal mythology, could this work against the objectivity of the enterprise? I think it can, and has. Some examples come to mind for me. The first is Ignaz Semmelweis, a Hungarian physician in the early to mid 19th century. In the days before Pasteur and the germ theory of infection, he was concerned by the number of maternal deaths in his hospital from what was called ‘puerperal fever’. This seemed to be worse in births attended by doctors, rather than midwives. In a series of well executed investigations, he linked this to doctors who had come to the maternity ward after performing post-mortems, and further established that hand-washing reduced the incidence of the disease. But the notion that doctors themselves were the cause did not meet with approval: an obvious clash with the hero narrative. Semmelweis’s findings were contemptuously rejected, and he later suffered a breakdown and died in an asylum. A similar example is the English Victorian physician John Snow, who in a famous investigation into cholera in Soho, conclusively showed it to be spread via a water-pump, in contradiction with the accepted ‘miasma’ theory of airborne infection. He further linked it to pollution of the water supply by sewage – but something so distasteful was a conclusion too far for the Victorian narratives of human pride and decency, and the miasma theory continued to hold sway. Both these examples of course come from medicine, where conclusive and repeatable results are harder to come by, and easier to contest. So let’s go to the other extreme – mathematics. You would think that a mathematical theorem would be incontrovertible, at least on grounds of offending anyone’s personal sensibilities. But around the turn of the 20th century Georg Cantor’s work on set theory led him to results concerning the nature of infinity. 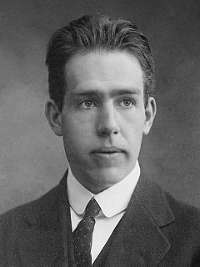 The consequent attacks on him by some other mathematicians, often of the most ad hominem kind, calling him a charlatan and worse, showed that someone’s personal myths were threatened. 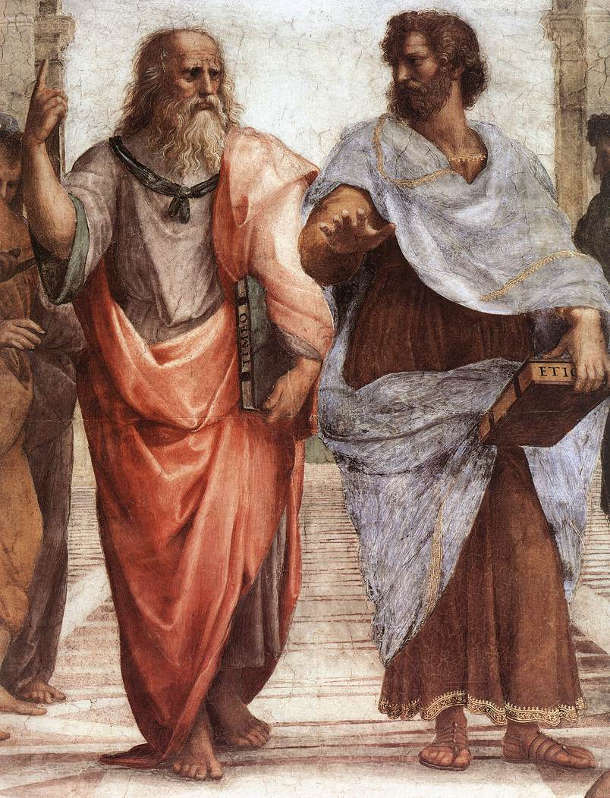 Was it their religious beliefs, or the foundations of mathematics on which their reputations depended? I don’t know – but Cantor’s discoveries are nowadays part of mainstream mathematics. My examples are from the past, of course: I wanted to look at investigators who were derided in their time, but whose discoveries have since been vindicated. If there are any such people around today, their vindication lies in the future. And there is no shortage of heterodox doctrines, as Storr shows. Are any of them remotely plausible? 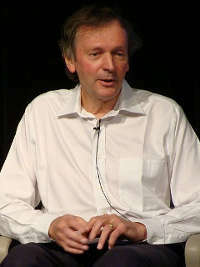 One interesting case is that of Rupert Sheldrake, to whom Storr gives some space. He has an unimpeachable background of education in biology and is a former Cambridge fellow. 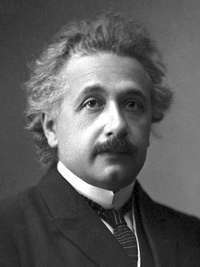 But his theory of morphic fields – mysterious intangible influences on biological processes – put him beyond the pale as far as most mainstream scientists are concerned. Sheldrake, however, is adamant that his theory makes testable predictions, and he claims to have verified some of these using approved, objective methods. Some of them concern phenomena known to popular folk-lore: the ability to sense when you are being stared at, and animals who show correct anticipation of their absent owners returning home. I can remember when we played games with the former when I was at school – and it seemed to work. And I have read Sheldrake’s book on the latter, in which he is quite convincing. But I have no idea whether these ideas are truly valid. Storr tells of a few cases where regular scientists have been prepared to try and repeat Sheldrake’s results with these phenomena, but most degenerate into arcane wrangling over the details of experimental method, and no clear conclusions emerge. What is clear to me is that most orthodox scientists will not even consider, publicly, such matters, since doing so is seen as career suicide. Is this lack of open-mindedness also therefore a lack of objectivity? Lewis Wolpert is quoted in Storr’s book: ‘An open mind is a very bad thing – everything falls out’, a jibe repeated by Henderson. You could retort that the trouble with a closed mind is that nothing gets in. There is a difficult balance to find here: of course a successful scientific establishment must be on its guard against destructive incursions by gullibility and nonsense. On the other hand, as we have seen, this becomes part of the hero narrative of its practitioners, and may be guarded so jealously that it becomes in some cases an obstacle to advances. Sheldrake tells Storr that his theories in no way destroy or undermine established knowledge, but add to it. I think this is a little disingenuous of him. If we have missed something so fundamental, it would imply that there is something fundamentally wrong about our world-view. Well of course it would be arrogant to deny that there is anything at all wrong with our world-view (and I think there is plenty – something to return to in a later post). But Storr’s critic Henderson is surely right in holding that, in the context of a systematically developed body of knowledge, there is a greater burden of proof on the proponent of the unorthodox belief than there is on the the opponent. Nevertheless, I agree with Storr that the freedom to promote heterodox positions is essential, even if most of them are inevitably barmy. It’s not just that, as Storr asserts near the end of the book, ‘wrongness is a human right’. Occasionally – just very occasionally – it is right.